The two giants in wine production, Italy and France, are the top two global producers and feature some of the most heralded and expensive wines of the world. Speculation and excessive exuberance often inflate the values of the best vintages in Bordeaux due to the unique sales system involving “futures” sales of wines that have yet to be released, but the finest Italian wines are also highly coveted and command high prices. With investors driving prices of Bordeaux higher with each successive “vintage of the century”, one is left to question if the prices of the wines are reflective of their value to the ultimate consumer or instead the inflated expectations of speculators with no interest in ever enjoying the incredible wines. The 2009 vintage just may mark the pinnacle of decades of speculation that is perhaps a modern example of the Dutch Tulip Mania of the 1600s. As the prices of Bordeaux’s top wines exceed the budget of most rational consumers, one ponders if other fine wines can compete in a head to head match-up. To put this to the test, a panel of experienced wine specialists convened at the Grand Californian Hotel’s Napa Rose Restaurant in Anaheim, CA to pit one of Pauillac’s finest producers against a Barolo from the Piedmont region of Italy. 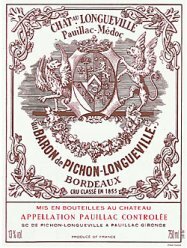 Ultimately, the Pichon-Baron of Bordeaux was slightly more refined with perfect balance, but it was less complex than the Clerico Barolo. 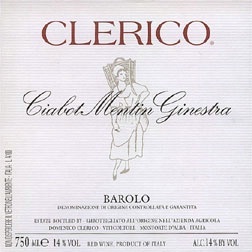 The 2000 Clerico Ciabot Mentin Ginestra Barolo was less balanced with pronounced alcohol (14.5%) and tannins, but it had exquisite depth to the nose and an extended finish. All things considered, the majority of our panel favored the Barolo, but thoroughly enjoyed both wines. Despite my predisposition towards Bordeaux, I thoroughly enjoyed the Clerico Barolo and found it to be the better value. The Napa Rose Restaurant is widely renowned as one of the best restaurants in Orange County, California. The food was quite good, as was the service, but neither seemed representative of a truly high end restaurant. Our server graciously waived the corkage fee and offered us complimentary Veuve Clicquot Ponsardin champagne to begin the evening. I ordered the “Vintner’s Table” prix fixe menu, but they forgot to bring the desert and failed to offer us additional bread with our multiple courses. The wine list and the menu are not posted online so you are flying blind unless you are staying at the hotel. Their wine list is not very deep and is dominated by very expensive wines from Napa and other regions at one extreme and lower end wines at the other, without more affordable alternatives in the middle. Most of their Bordeaux wines were 1982 or older – prestige or statement wines that aren’t accessible to almost anyone – and many are large format bottles which would not be appropriate for the parties of 2 – 4 people that populated the majority of the tables. Overall, it was a nice dinner, but perhaps lacked the innovativeness and exceptional level of service that you would expect for $100+ per person.